But, would you love to see your tot smile with a rotten tooth? Well! 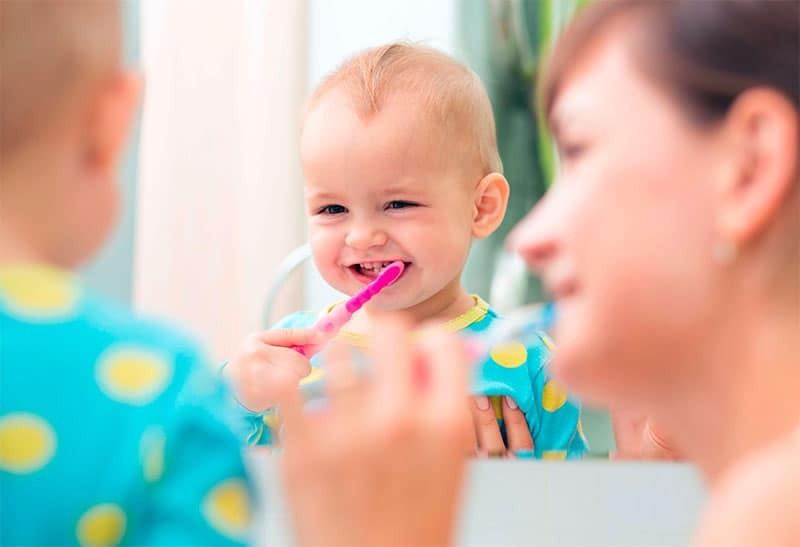 Even a one year old baby can be affected with tooth decay! This tooth Decay will not only spoil the beautiful smile, but will slowly collapse the oral health of the baby. We exhibit our love, by feeding the babies with lot of carbohydrates, but, the bacteria in the mouth interacts with these carbs and produces an acid, which slowly dissolves the tooth enamel, paving way for cavity formation. There are 3 ways which causes entry of cavities – (i) Poor maintenance of oral hygiene (ii) Too much of carbs and sugar in diet (iii) Not using fluoride for a teeth cleaning. A visit to the Dentist in Rozelle, Sydney will help the parents get a clear idea and right procedures to clean the child’s teeth. Saliva has the ability to neutralise the acid and supply essential calcium and fluoride to reverse tooth decay. So, never offer your kids with snack every hour, as it might hinder the formation of saliva. Avoid offering sugary foods to the kids. Breast-feeding is recommended for babies, as it does not promote tooth decay. But, when other foods are taken in addition to breast milk, it might put the child at the risk of developing cavity. Limit the usage of baby bottles. Some parents use the baby bottle to modify the child’s behaviour during sleep time or to make a ceaseless feeding – which might create formation of bacteria. Dentist in Rozelle, Sydney exhibit a proper way to the parents to clean the child’s teeth. This procedure will hardly take less than 2 minutes which can be done with a child’s toothbrush or plainly wiping up the teeth off with a wet cloth. They also suggest that a child’s tooth has to be brushed by an adult until the child is 7 years old!